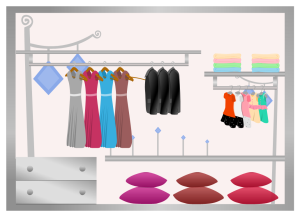 Edraw offers you a number of ready-made closet plan templates which you can use in your drawing and free. Edraw is used as a closet plan software coming with ready-made closet plan templates that make it easy for anyone to create beautiful closet plan. The closet plan templates are easy to use and free. Edraw can also convert all these templates into PowerPoint, PDF or Word templates. 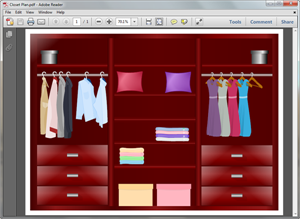 It's easy to create a closet plan using Edraw ready-made templates. Simply choose a basic template, customize the drawing, and export or print for further use. To find a ready made template, go to closet plan templates page and select the Closet Plan that best suits you. 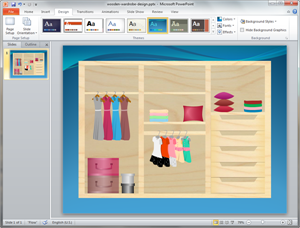 After a closet plan is done, through one click on the Export button you can transfer your drawing into MS PowerPoint presentation. Few things need to consider when you design your custom closet with Edraw. In order to modify the template to the way you want, you need to download Edraw and edit it. All templates in the software gallery windows can freely change in color, theme and effect. It's just amazingly simple, only clicking on the Export PDF button will convert your closet plan template into PDF format. 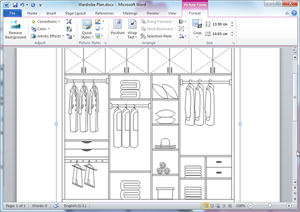 You can view the PDF Closet Plan Template to view the quality. 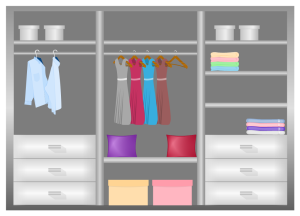 Edraw has embedded a special template for wardrobe design, where you can get abundant pre-drawn symbols, including closet framework, drawer, suitcase, hanger and dresses, allowing you to add precise details about everything you want to include in your design. Simply drag and drop any symbol or graphic element, and place them to the right place you want. Edraw supports accurate dimensions to make your wardrobe perfectly fit your room. All symbols are in vector format, allowing you to move, resize and rotate easily. Discover why Edraw is an excellent program to create closet plan. Try Edraw FREE.